204 pages | 14 B/W Illus. 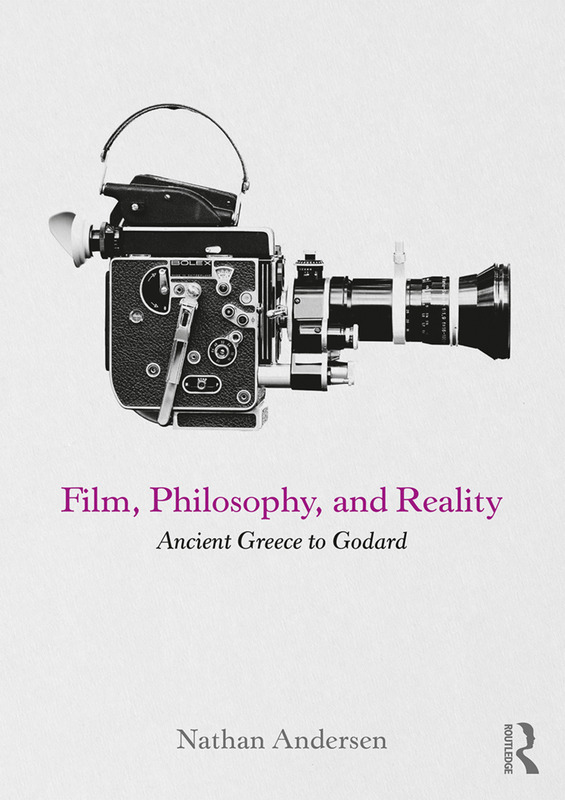 Film, Philosophy, and Reality: Ancient Greece to Godard is an original contribution to film-philosophy that shows how thinking about movies can lead us into a richer appreciation and understanding of both reality and the nature of human experience. Focused on the question of the relationship between how things seem to us and how they really are, it is at once an introduction to philosophy through film and an introduction to film through philosophy. The book is divided into three parts. The first is an introduction to philosophy and film, designed for the reader with little background in one or the other subject. The second examines the philosophical importance of the distinction between appearance and reality, and shows that reflection upon this distinction is naturally provoked by the experience of watching movies. The final part takes a close and careful look at the style and techniques of Jean-Luc Godard’s groundbreaking film Breathless in order to illustrate how such themes can be explored cinematically. The philosophical relevance of film techniques. With a glossary of key thinkers, terms, and concepts, as well as sections on suggested films and further reading, this textbook will appeal to lecturers and students in undergraduate philosophy and film courses, and in courses focused on Philosophy of Film, Philosophy and Film, or Film-Philosophy. "Striking an excellent balance between complexity and clarity, this book accomplishes something badly needed in the field, combining philosophical background with the basics of film analysis to elucidate how philosophy might inform our understanding of moving-image texts. Its excellent prose style, engaging authorial tone, and impressive ability to make complex concepts accessible, makes this an excellent and significant book for film-philosophy readers from any background." "Nathan Andersen’s Film, Philosophy, and Reality is a wonderfully engaging historical introduction to philosophy and film theory. Focusing on the relationship between appearance and reality, he elaborates the philosophical kinship between thought and image with skill and insight. His exploration of Godard’s Breathless from metaphysical and existential perspectives is excellent." Chapter 2. What is film? Nathan Andersen teaches philosophy and film studies at Eckerd College in Saint Petersburg, Florida, USA. He programs an award-winning cinema series and is the co-director of the "Visions of Nature/Voices of Nature," Environmental Film Festival. He is the author of Shadow Philosophy: Plato’s Cave and Cinema (2014, Routledge), and has published on the history of philosophy, environmental philosophy, and film.